Yes I feel your frustration on the tight screws. I think someone said on a forum here you could heat up the screws with a blow dryer and get the lock tight to loosen up around the screws. (Google this 1st). Once they are loose then you can change the bands allot easier . I go from the mesh bracelet to the steel bracelet and over to the NATO often. I bought extra screws and bars from Stowa in case I bugger the screws. Well, I would love to get just the screws but short of drilling them out, I don't think I could get them loosened. I've boiled the bracelet, used a grille lighter to heat them up and have applied lots of pressure and they won't budge. It's ridiculous! Does anyone know how much a new bracelet is from Stowa? I heard back from Stowa. The bracelets aren't available anymore. I will be shipping my bracelet to them and they are getting me sorted. In the meantime, I'll wear the Prodiver on the Rubber. I turned the textured side of the rubber strap up on the watch and it really looks nice. I'll like it a lot more on the bracelet though! marlowe55 and WatchDialOrange like this. 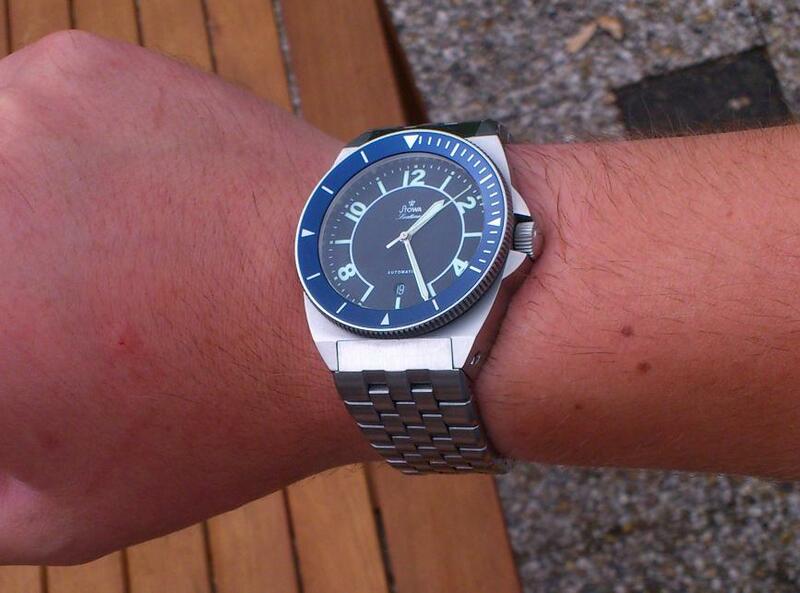 Glad to hear that Stowa is going to take care of the bracelet issue. It's a shame that you had to deal with someone else's mistake. Hopefully that experience won't turn you off of the watch itself as it's an outstanding timepiece (that I like far more on the bracelet as well). Last edited by marlowe55; May 7th, 2014 at 01:07. ​You can always earn more money, but you can't earn more time. No, it wasn't the previous owner's mistake either. Jorg has stated in previous threads that he purposely tightens them like that so they won't loosen and have people losing/breaking their watches. Some people have no problems with loosening the screws and some do. Unfortunately, I was one of the ones that had issues. The previous owner and I have had numerous dealings and I know if there was a problem, he would've told me. As for being turned off by the watch, it hasn't turned me off. I really like it an cannot wait to enjoy it more on the bracelet. It keeps great time and the carbonfiber dial looks awesome in the daylight! It's just what I was looking for. I have a Rolex Datejust I'm going to be putting up on the boards for sale soon and with the proceeds I'll be purchasing a Tudor Black Bay to round off my rotation. 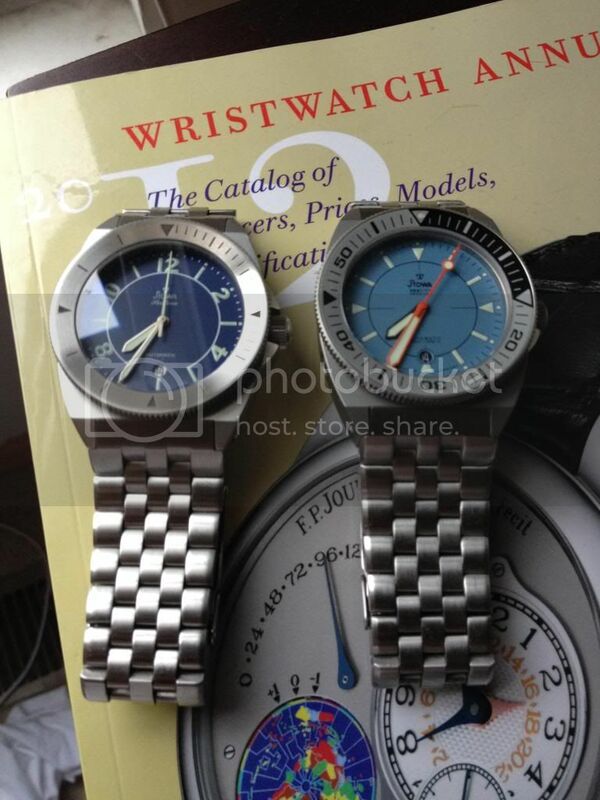 I love dive watches! Have a great day and thanks again for all the compliments and advice on my bracelet issue! I requested the lug screws to be tight but not too tight and Stowa agreed to do it. When I took delivery of the watch I was able to unscrew the screws easily. That's good. I'm glad you were able to loosen them. This one wont ever leave, i freaking love it. Got a red and prodiver style bezel on the way! Last edited by H_J_R_; May 12th, 2014 at 05:06.
platinumEX, marlowe55, WatchDialOrange and 3 others like this. Very nice pair you have there! !